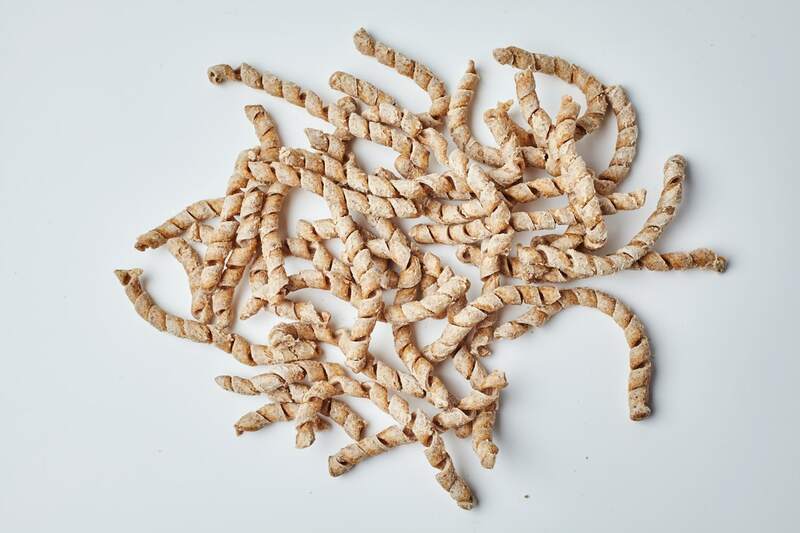 Filippo Drago’s Busiate pasta is made with Tumminia (too-mi-nee-a), a type of grano duro (durum wheat). Tumminia is a very special grain variety that has ancient roots in Southern Sicily. It is the principal grain used in the famous, Slow Food recognized, Pane Nero di Castelvetrano (black bread from Castelvetrano). For Filippo, what distinguishes his Busiate from conventional pasta is that they are not meant to be a vehicle for sauce - they are the dish itself. We asked Filippo for his favorite recipe to use with his Busiate. His answer? Olive oil. Just a splash of good extra virgin olive oil lets the flavors of the oil and the grain stand out. We agree that Filippo’s slightly sweet, nutty Busiate are outstanding, but if you’re not quite such a purist you might try them with cacio e pepe, a traditional Roman pasta dish with Pecorino Romano cheese and black pepper, or pesto alla trapanese, a Sicilian pesto made from almonds, tomatoes and basil. Or for a cold pasta dish, toss cooked busiate with cherry tomatoes, basil, and a bit of Pecorino or mozzarella di bufala. The Tumminia grains used in these Busiate are organic and were stone milled (that is ground using an actual STONE!). Filippo designed a slow and intricate drying process that allows the characteristics of the wheat to be maintained through to the final pasta and creates the perfect surface for sauces. These busiate have a longer cooking time than traditional pasta, but to maximize the taste, be sure to serve them ‘al dente’! Tumminia is very digestible and even suitable for people with some wheat sensitivities; rich in vitamins, minerals and protein, these Busiate are super healthy. They also have a low glycemic effect, so you’ll stay full for longer. But Filippo doesn’t want you to be fooled by all that health food talk - “It’s not a penance, it’s a joy,” he tells us. Filippo is also respected throughout Sicily for making 'Pane Nero di Castelvetrano' according to traditions, including baking the bread in an oven burning 100% olive tree wood.